Innovation is critical as we all look forward, plan to grow, and improve. For a company that has produced brazed carbide tools for decades, we’re no different than our customers in that it’s a constant challenge to come up with new ideas and become more efficient in your processes. One success we recently made was to convert a brazed tool to a Toolholder and indexable insert for a company that machines a high volume of forged metal castings. Our customer called us to review the tooling and application. We discovered that the tool body could be improved with a better design, and that they could drastically improve strength and tool life by going with a heat treated Tool holder and a coated insert. The result was a win-win… higher production rates, with a lower overall tooling cost and significantly less downtime. At Highland Carbide, some of our most significant improvements have come in designing custom Toolholders for specific applications. We can improve geometries to increase the strength and effectiveness of the tool, and pair it with any insert on the market. This type of innovation is where we’re headed. It’s not by accident. It comes from the challenge to continually satisfy our customers, and drive innovation into all that we do. 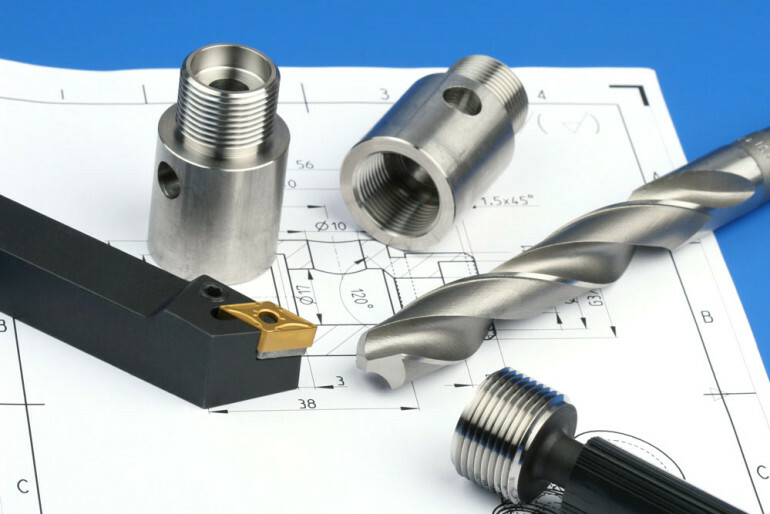 When you need a tool to assist in your manufacturing process, contact us to see how we can use Highland’s seven decades of specialty tool experience to enhance your operation.